Whether it’s a job that demands you to be able to respond 24/7, a business you’re running from your home, or you just have a hobby you would like to take more seriously, having a home office can be invaluable for young professionals and artists alike–or at least those who do not require a separate studio space. But what if you’re moving into a one-room apartment or your significant other’s apartment that is already set up? Below we lay out three ways to create an ad hoc home office in the tightest of spaces with the simplest of materials alongside some more elegant options. One of the reasons that more people are needing to or able to work from home is due to the increase in portable laptops and tablets that make it easy to work in a number of different locations. If you want to work from home but lack a whole room to turn into an office space, purchase a desk with wheels on it or even an easy-to-type-on rolling cart to give you the flexibility to work anywhere in your apartment without having to do a major renovations. This option is particularly ideal for those who love DIY projects and enjoy transforming the mundane into the attractive and useful. You might also think about investing in a standing desk is a great alternative to a standard desk that takes up a lot of floor space. A standing desk with a standing desk chair gives you the option of standing or sitting, but it can take up about half the space as a standard desk. Think about it. It’s better for your body not to sit all day too! When moving into a living situation with tight spaces, you need to think outside of the box to get the most out of your apartment. If you’re moving in your twenties, chances are you’ll be sharing your home with either a love interest or roommates. And if you’ve unpacked a Chicago apartment before, you likely know that often the closets are too small to hold one’s wardrobe, prompting many young professionals and creatives to invest in an external wardrobe. Whether you prefer keeping your clothes in a unit separate from your closet or you just want to maximize space in your room, closets can make perfect home offices without breaking the bank on supplies or products. By taking the door off of your closet and measuring the interior, you can install a piece of wood that has been cut to fit the width of your closet space, holding it up by framing it from underneath to allow you to easily slide the desk in and out as needed. From there, make your closet as comfortable as you would your office with a desk lamp, a few shelves, and even a cork board. Now, if you’re moving in your thirties and find yourself moving into a high-rise apartment or condo that has plenty of space but only the bare minimum of rooms, consider carving out a corner office all your own in your living space. After all, corners are often the least-used parts of a room and are already unoccupied. 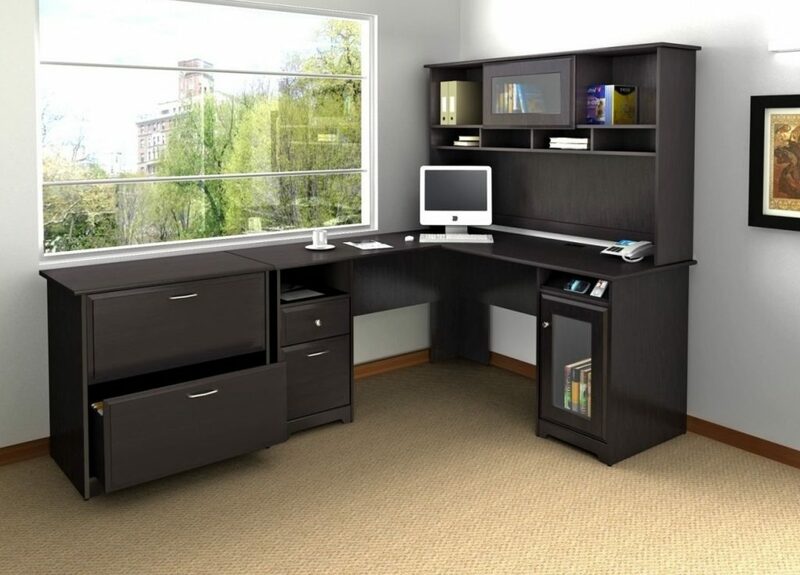 Additionally, companies like IKEA and other home supplies stores have recognized this booming market for home corner offices and have developed a number of workstations that come in all sizes and shapes, leaving you just to order it and have it delivered so you can get working in no time! No matter what home office solution you choose, the best way to ensure that you’ll actually use your home office is to truly make it your own, from decorations to even placing antique wooden partitions around it to give you that extra sense of have a space all your own.